165 MHz single-/dual-channel Pulse Pattern Generator with one or two Agilent 81111A ouput modules: This model replaces the "industry-standard" Agilent 8110A with better performance for less money. 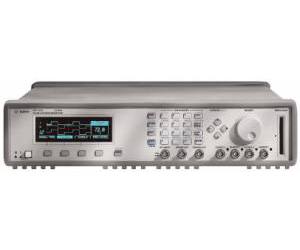 Relative to the Agilent 81104A, it has the same features with higher frequency. Delay and pulse width (and repetition rate in non-PLL mode) are more accurate - of the order of 3% or, with self-calibration, 0.5%.